The Bible tells us that where two or three gather in the name of Jesus that the Lord is right there in the midst of them!!! The holidays are the perfect time to gather with our family and friends and to thank God for His goodness. Thanksgiving is one of my favorite holidays because it helps us to focus on our blessings. God has been teaching me the power of intentionally being thankful in ALL things this year. I have learned that it is so easy to focus on what we do not have or what we want than focusing on being content and grateful for what the Lord has blessed us with.WE HAVE TO BE INTENTIONAL ABOUT BEING GRATEFUL!!! 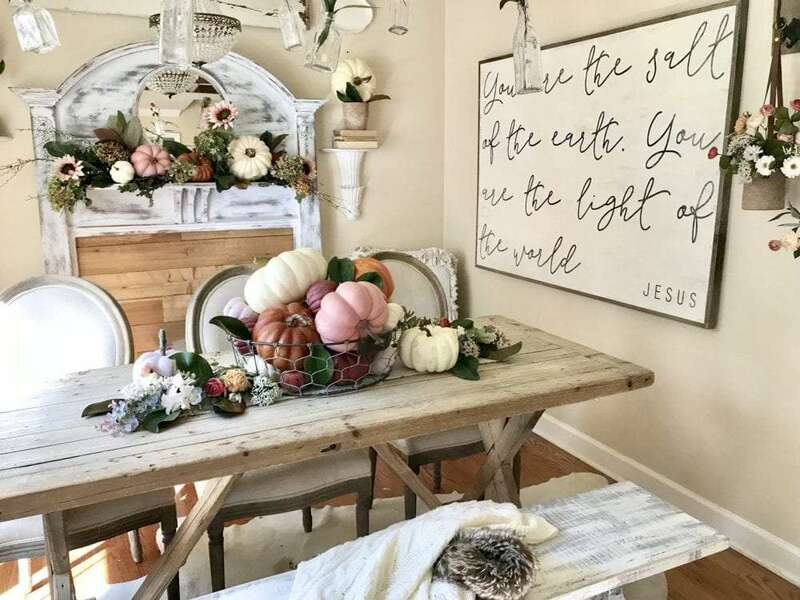 So in this season of gathering I wanted to share some fun ways you might be inspired to get your home ready for Thanksgiving and gathering with the ones you love. Today I will share our front dining room with you. This is the first room you see as you enter our home and it is our “formal” dining room. However there is nothing formal about it! 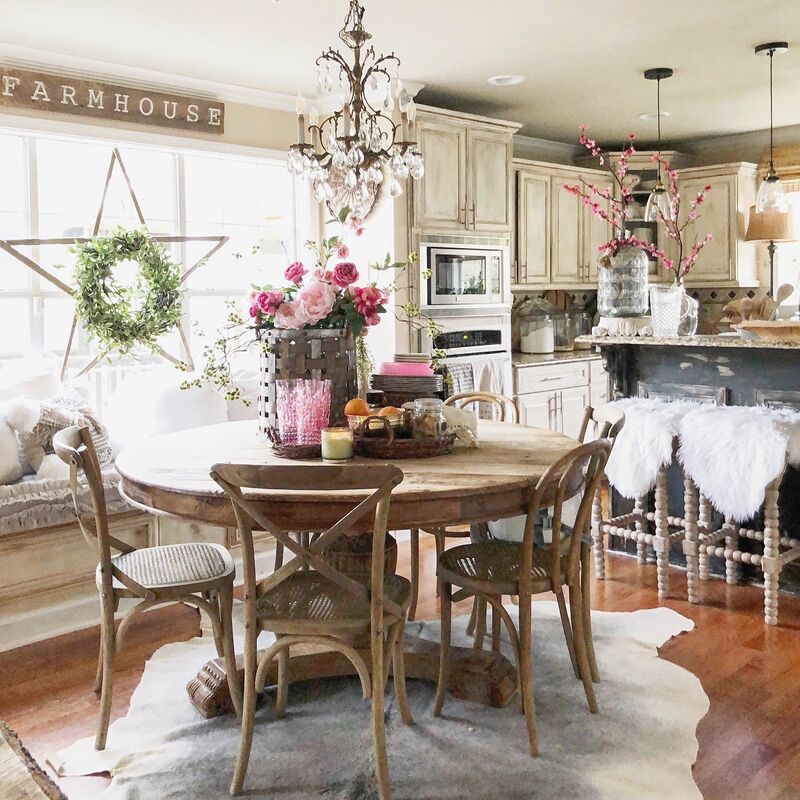 I try to keep this room very inviting and I love to change it up for each season. I have added a big bowl of faux pumpkins in lots of fun colors and added lots of faux flowers in those same tones. 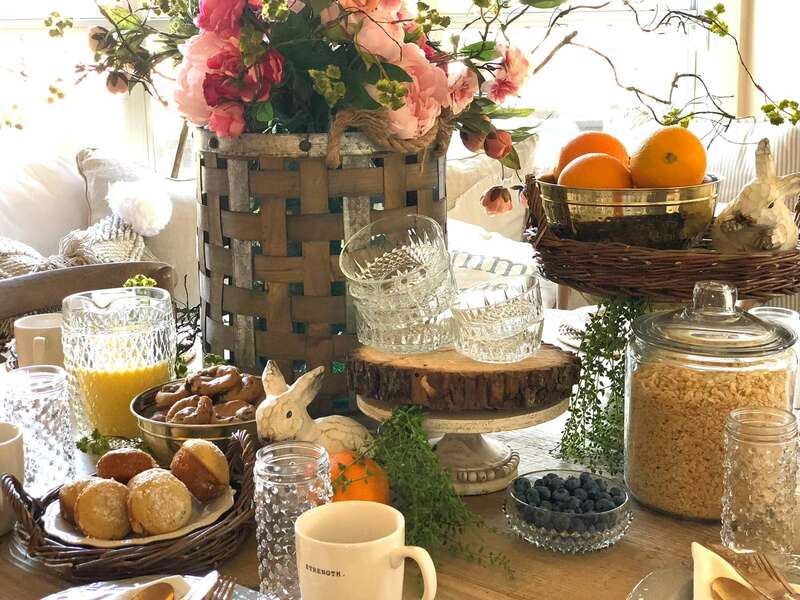 This photo above is with the table not set and how it actually looks on a daily basis! Now I will show you a fun way I set the table that might give you some inspiration for your Thanksgiving diner. I got the linen napkins from Homegoods , the glasses are from Walmart from the Pioneer Woman collection, the gather plates came from Michaels as did most of my pumpkins and flowers. I just layered some plates I already have on hand. I also created a little entry area with a bench from Wayfair and a cozy throw from Homegoods and some fun throw pillows. 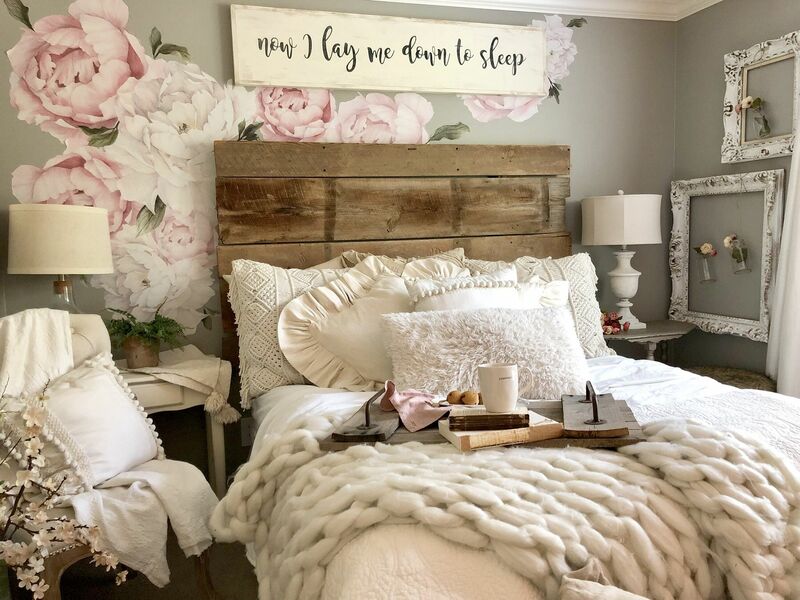 Some of my favorite ways to make things cozy and welcoming are by using lots of throws and pillows and signs in our home . 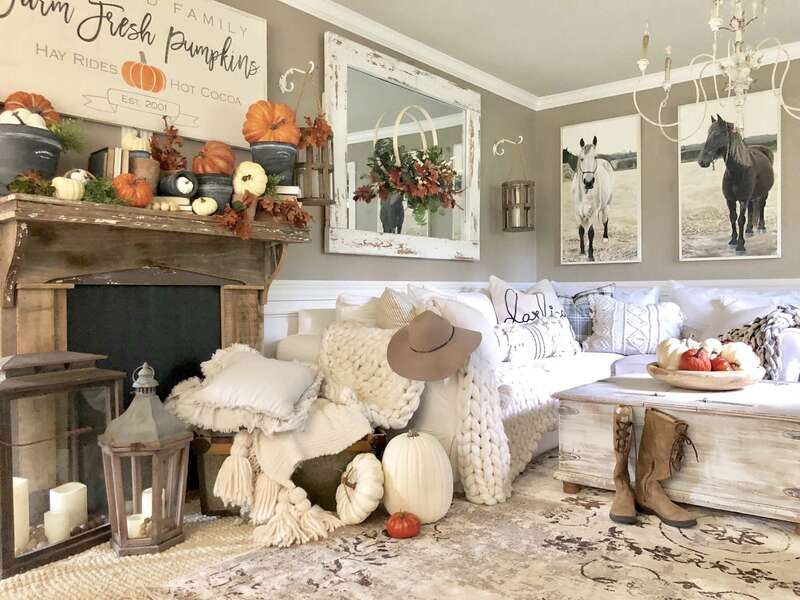 Here are a few other areas I have made extra cozy using furry pillows and throws and pumpkins! I wanted to also share with you a few signs that we have designed for this beautiful season of giving thanks. I hope I have inspired you and I pray your Thanksgiving is blessed beyond what you can imagine! !